*Note: this song was featured as a bonus track on the “Let U Go” German promo single only, and it was sent to me by a friend from Germany. 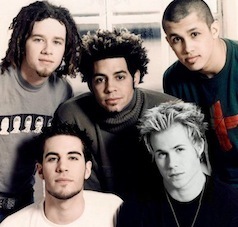 Please do not take or re-post because it’s an O-Town Web Exclusive, thanks. *Note: this is an original song written by Dan and released on 2004. Hey guys, just to let you all know today I’m going on vacation to the beach for a week, so I’ll be back on February 17, 2010. In the meantime, I’ve uploaded new live audios you might like. Check’em out below and see you in 7 days :D!